Nintendo's latest Nintendo Direct presentation is underway, and Big N has already dropped some big news on 3DS owners: Minecraft, the mega-popular block-based sandbox title, is returning to the Nintendo 3DS in Minecraft: New Nintendo 3DS Edition. The new version of the game looks to run well on the 3DS hardware, and the system's second touch-based screen should prove useful for diving into menus and crafting various items. 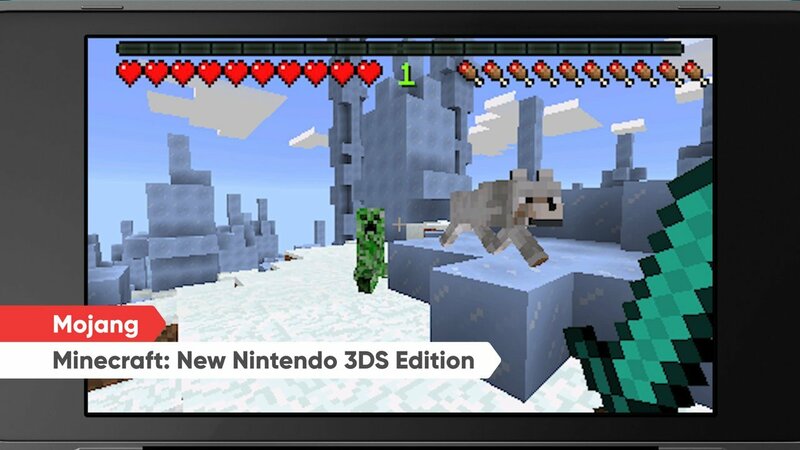 Even better, the 3DS version will include both Survival and Creative modes as well as five skin packs and two texture packs. Nintendo 3DS owners can expect the game to appear on the Nintendo 3DS eShop later today, with a retail version coming at an undisclosed later date.